Sheet Size: 8.5" x 11". 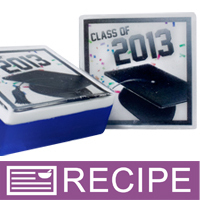 Great for printing special designs and messages for embedding into bars of melt & pour soap. Paper remains intact until soap is used to point of embed. At that time, paper dissolves in water. Can be used with laser or inkjet printers. NOTE: For instructions, please watch our video, "Using Embed Paper In MP Soap". Measure mold cavities. Use a computer to create design to fit within mold dimensions. Print design onto embed paper using a laser printer. Cut designs out. 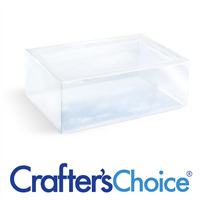 Pour a thin layer of unscented clear soap into mold (we recommend Crafter’s Choice Premium Crystal Clear Soap Base). Spritz soap with rubbing alcohol. 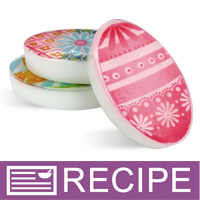 Place embed paper printed side down into the soap. Repeat for all mold cavities, and allow to harden. Prepare a white soap base. Spritz clear soap with rubbing alcohol and pour melted white soap onto clear soap at a temperature below 125ºF. Spritz with alcohol. Allow to harden, unmold, package, and label. For complete instructions, please watch the video "Embedding Items" in the Soap Making section of our Learning Library. 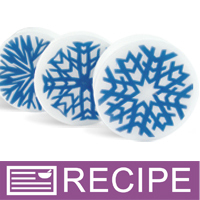 COMMENTS: I used these for adding awesome graphics to my M&P soaps and they were a hit! "Works exactly as it should"
COMMENTS: This paper is amazing. It is thick enough that you can handle it easily without tearing it as well as going through the printer easily. I had zero issues with it bunching up. It holds the ink great and I had no bleeding problems. I've ordered this a couple times and have been very happy with it. "Worked great! Inkjet & Laser"
COMMENTS: I bought this because I want to perfect my embedding. The paper is of good quality. "Now I just need a laster printer!" COMMENTS: I used to have a laser printer... wish I hadn't gotten rid of it! I've tried the paper with my inkjet: very easy to use, and it looks great, but of course the ink WILL bleed within just a few days. I love the product (or at least, I *think* I will once I print it properly), but I just can't use it quite yet. COMMENTS: Is very nice in melt and pour soap. No bleeding either. COMMENTS: This paper is so much fun to embed in melt and pour. It turned out perfect, no issues at all. Add a fun picture to any soap bar! COMMENTS: These papers worked like a dream. Had a little trouble sizing my pictures to the perfect size for the mold cavity, but once I figured that out, I was tickled with the result. I used a bar to try it and the paper dissolves with no issues. I love it....looking forward to it being a hit at my next craft show! COMMENTS: This paper is fun to work with! I use it in my LaserJet 200 printer with no problems. COMMENTS: I have taken this amazing paper, printed my amazing artist friends artwork on it to make custom soaps that show off her work perfectly. We are both so pleased with it and our customers are amazed that they can purchase and everyday item that is a beautiful piece of artwork as well. Nothing but huge complements on the products produced. LOVE IT!!! COMMENTS: First time using it-nice. I need to play around some more with these. Endless possibilities of things to print on the paper. 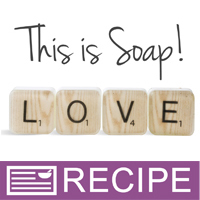 COMMENTS: I've been ordering this product for a few months now, it works great with the soaps. I thought the quality changed but you have to really take your time and be gentle with the paper and it will produce awesome quality that your customers will love! "Jammed no matter what I did..."
COMMENTS: I am quite disappointed with this paper, simply because it jams regardless of whether you manually feed the paper or not. I am extremely familiar and very skilled with laser printers, have two of them. I typically print from tray 1 when printing on specialty paper and while the paper feeds through smoothly, it stops halfway through and the printers make me pull the paper out. I am assuming the paper is so thin that the printer just does not feed it all the way through. I'm jealous of all those who have had so much success printing on it! "Perfect for Gifts and Favors"
COMMENTS: We purchased these to experiment with, and instantly fell in love with them. They are an awesome way to put a "message" in a bar of soap. We were shocked by how easy they are to use. 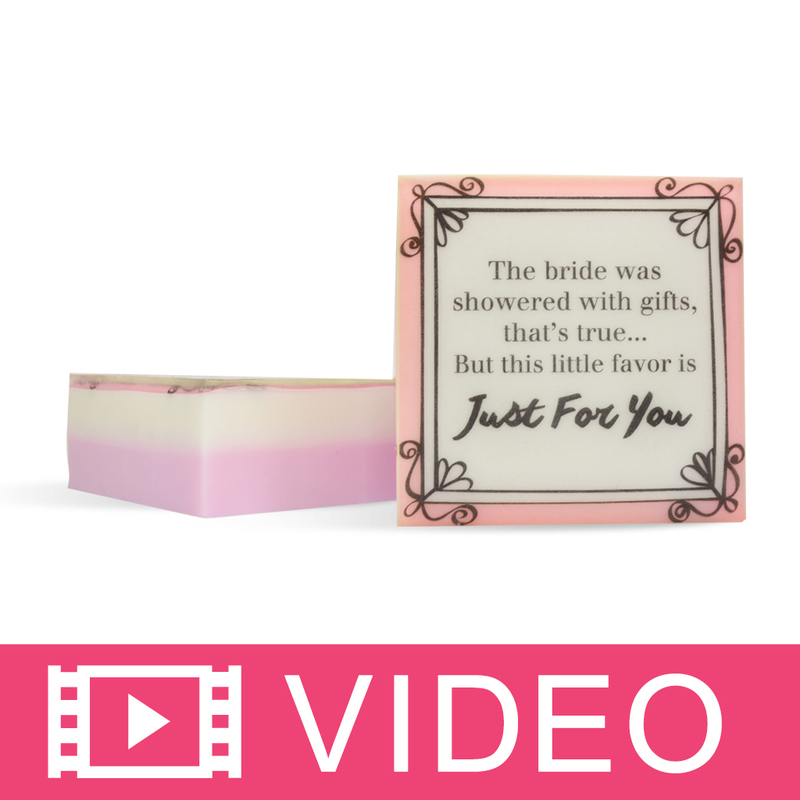 We had a blast adding pictures, inspiration quotes, and other things in our soap with this embed paper. They would make perfect party, wedding, baby shower and graduation favors. Our clients like them as well. COMMENTS: Printed at home and paid for printing both turned out great. I sprayed with hairspray and allowed to fully dry before using. People really like the personal touch. Ordering more! COMMENTS: I used this embed paper with the clear melt and pour base. I had the paper printed by laser printer at office supply store and cut out the image. I used thin white melt and pour base behind embed paper which hid the cut edges of the paper very well. I thought this was going to be more difficult to use, but it was very easy. advice: have a skewer or tweezers handy to help adjust placement of embed. COMMENTS: I used this paper for embeds in the premium crystal clear MP and I have to say being very pleased with the results is an understatement!! They turned out beautifully! I printed a snowflake and used First Snow FO. The bottom of the soap was made with the Premium Goat's Milk Soap. The overall look was beautiful! Love the paper! COMMENTS: Easy to print on, easy to cut and easy to use. Looks great embedded in my soap. COMMENTS: Used this to make some photo soaps for family members, was very easy to use, willbe making moreof these, love it. COMMENTS: Tested this paper for use in making custom soaps for a corporate client. Worked well. Will be ordering more for the project. COMMENTS: how neato is this stuff?! very cool - customers loved the soaps I used this on. Need to order more - already used it - took a little practice but that was loads of fun and makes me want to do loads more soaps soon. Arrived quickly, safely. was easy to use, lends itself to lots of different applications/ideas, looks great, gives a professional look to products, draws customers in to booths and they seem very interested in it. another winner! COMMENTS: This is a great product for the creative person. I have printed all kinds of pictures and logos on it and put it in our soaps. It doesnt bleed and looks great. Super easy to use. "Works Great, but Tweak Your Images First"
COMMENTS: I have just used this for the first time on some Melt & Pour soap, and LOVED it. It was a learning experience, though, because I had to re-make my whole first batch. The paper worked fine; it was the photo processing and cut out procedure that needed tweaking. I noticed that the images get a little "washed out" (no pun intended) in the soaps, so before I made the improved batch, I increased both the color saturation and the contrast. The images with the most contrast work best. Then, be really careful to cut the images out as precisely as you can. I assumed that little nicks and irregularities wouldn't show so much. Wrong. They were on display! Good hand/eye coordination is key. Once you've got those things addressed, you'll have a blast creating image-embedded soaps. I'm just a tiny business now, but I can definitely see ordering a large quantity of this paper in time. COMMENTS: This paper allows me to be creative in my MP soaps. I can write names, print pictures, the sky is the limit! I place these in my clear MP soaps. The paper never tears and is very dependable when designing with this. COMMENTS: First time ever using this paper and it printed perfectly. The images were nice and crisp. 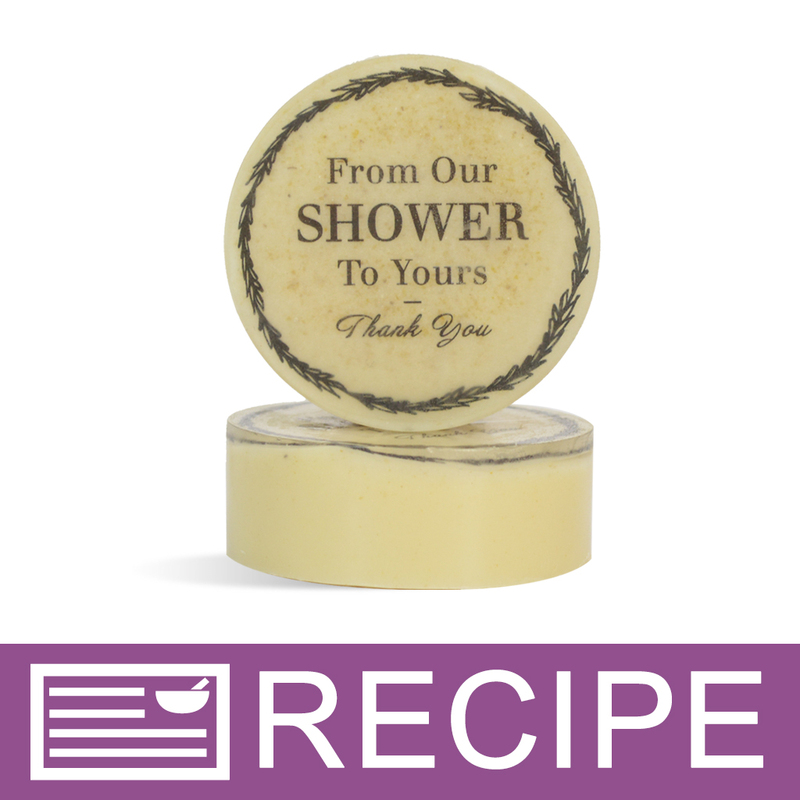 COMMENTS: I liked this product to much... you can personalize the soap as you want and my clients requested them very much, so easy to use, print and embed. COMMENTS: I use an inkjet printer and have never had a problem with bleeding or fading. I spray with hairspray right after it prints, and let it sit for three days. Pour a thin layer of clear, spray with alcohol, embed the picture right away before it sets up, spray again and let harden. Follow up with a layer of white and then whatever other colors I want to make it. Never tried a laser printer. 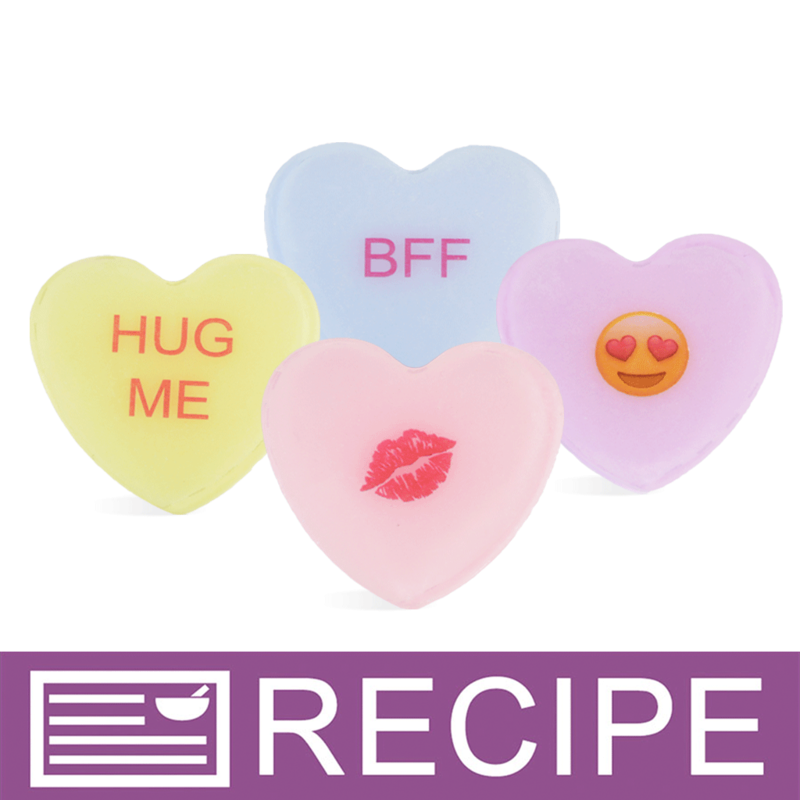 COMMENTS: These are so great for personalizing soaps! I used them to make some holiday greeting card soaps that were just adorable. COMMENTS: It was fun playing with these. COMMENTS: I thought this would be difficult to use but it isn't. I love this paper and plan to order more. "Sometimes great, but sometimes not"
COMMENTS: If you're lucky you will get great thin paper that is not noticeable in the soap, but sometimes when you order you can get thick and not so good paper that is visable as an extra layer in the soap. The bad one is not so smooth in texture and much thicker. Would be nice to have a consistent quality and to know what you will get. In three orders one was the nice one and two including last (the biggest) was the bad one. • When I get the good one! • Would like to know what I get! COMMENTS: I absolutely LOVE this paper. I use my HP Laserjet to print and the images come out absolutely clear, crisp and beautiful. I did take the advice of many other reviewers and let the pages set overnight prior to using, and I do think it makes a difference. I have never had any issues whatsoever with the paper jamming or anything. I would definitely advise against anyone trying to utilize an inkjet printer for these, though. COMMENTS: Easy to use. Watch the Video on this site for directions. "Crafter's Choice Embed paper for soap "
COMMENTS: Love this product.....made Princess and Super Hero soaps for my grand kids. The paper stayed firmly in place as I was pouring. Very pleased with the outcome and the smiles on their faces made my day. I am looking forward to using it again in other soap projects. COMMENTS: This paper was really easy to use in the melt and pour and would recommend to anyone! It's alot of fun to create ideas!! COMMENTS: It is very nice to use. I just wish that you make transparent sheet too. COMMENTS: The embed paper works fantastic. I use a laser printer then cut my design and slip it into a thin layer of still melted clear soap. Let it set up then pour my colored layer (white). Works every time, no hassles or headaches. Made some great Christmas gifts with this paper! "Definitely need to use laser printers for this"
COMMENTS: I tried this product using a laser printer and using an inkjet. The laser images worked out great in my soap product. The inkjet ran very badly. This is a great product when using the laser printer. I was able to embed the logo for the Youth Group that my husband and I run. We plan on selling the soap as a fundraiser. Can't wait to order more! I did have a few problems getting it to go through the printer correctly. "Paired with Crystal Clear soap"
COMMENTS: Can wait to print custom images!! I love this idea. Very genius. COMMENTS: I tried over and over again to get this paper to act right in my clear soap base but the colors bleed sometimes. COMMENTS: Unfortunately I only ordered one sheet of this, and when it jammed in my printer, it never completed the print process, so I don't think I'll even try adding it into my MP soap. :( Disappointing. I would try again, but I'm afraid the same thing will happen again and I don't want to waste the money. WSP Response: We use this in our printers in the office. Perhaps make sure there is enough paper under the spring so that it will feed. You could also try manually loading the paper. Keep us posted. COMMENTS: Love this although was a little hard to get the hang of. I taped it to another piece of paper and became sturdy enough to go through printer. Otherwise it jammed my printer. Put a business logo in clear with solid background and turned out beautiful. Spray with hair spray to make photo last longer. Has not faded or bled. Awesome product! COMMENTS: The pictures you choose have to be bold colors, but once I figured that out they worked perfectly. COMMENTS: Follow directions and you'll have no problem with this product. COMMENTS: I've used this paper twice with a regular inkjet printer. Both times I printed a full sheet of bright green shamrocks. The first time, I let the ink dry for 3 days, then embedded them into MP bars under a layer of Crystal Clear base. There was no bleeding whatsoever. The second time I used it I didn't have time to let it dry and embedded the shamrocks the same day. Again, no bleeding. No issues with the paper feeding into the printer. I recommend embedding the paper into WET soap base otherwise you will have air bubbles. Also, put a small layer of white over (behind) the embedded paper so that any untrimmed areas around your design will not show in the finished bar. COMMENTS: I printed Mother's Day Pictures and printed them on these sheets and they turned out fantastic!! Will definitely be buying more!!! COMMENTS: I have used the embed paper on many projects and I just love how versatile it is. You can get very creative with the paper and tremendously expand your product line and even do custom soaps. It took a while to perfect the timing with inserting the paper, but as with all great things, with practice comes perfection! COMMENTS: Love this paper! easy to use in printer and looks nice in soap. 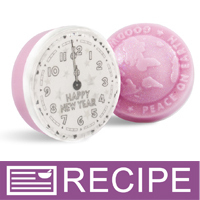 COMMENTS: I made MP soaps for my family with a picture of my baby, everyone loved them. I also made sugar scrubs and attached picture on them with a little clear MP soap. COMMENTS: I used these for the first time with a custom order and they turned out great! It's definitely something to get used to though if you have never used it before, so I would recommend doing a practice run on a bar or two. Once you get the hang of it, it's awesome! COMMENTS: I bought this to make soaps for wedding favors. I only had a color INKjet printer and didn't want to add the expense of taking them to a printer so I did some internet research and followed suggestions. The ink will not bleed if you spray the printed picture with hairspray and let it sit for 2 days before embedding it. They turned out fabulous! I found that it was very important to embed the paper after pouring a fine layer of EXTRA CLEAR M & P soap and letting it sit until a thin skin was formed and not having the second soap layer be too hot upon pouring. I can't wait to try the paper in other soap projects - football, golf, dancing, BD soaps. I kept a few soaps to show prospective customers what can be done. The low price is also certainly a consideration! COMMENTS: I bought a few sheets to make some soap for my sons birthday party. Honestly, I didnt think it was going to work. But WOW! printed perfect and didnt bleed in the soap! COMMENTS: This product is awesome and so easy to use!! Print, cut ' embed! Very easy to work with!! "So happy wsp carries this"
"Opens a whole new world to M&P soap design"
COMMENTS: I have to say that this paper worked so very well for mp soap imbeds! I have tried other companies paper product and I have been continuously disappointed but this one did NOT disappoint at all! I highly recommend it and I will purchase again!! COMMENTS: Purchased these to try out and LOVE it! Very easy to use! Perfect addition to my product line. COMMENTS: The ideas are endless!! "Does this paper have a shelf life?" Staff Answer No, this embed paper has no shelf life. "Which printer needs to be used on the old paper?" Staff Answer The previous paper needed to be printed on a laser printer. "When did the change of suppliers occur? I bought this about a month ago and could not remember which printer to use. I just saw the question about the laser & inkjet printers. I would rather use my laser printer but I just want to be sure the batch I have is will work with this printer. Thanks :)"
Staff Answer If you purchased your embed paper a month ago, you can use either type of printer. "This says can be used with laser or inkjet in the description, however, when you scroll down in the questions WSP answered that it is to be used with laser? I am confused as to which type of printer this will work on. Please clarify." Staff Answer We have a new supplier who states either a laser or ink jet printer will work with this embed paper. We will add clarification to the description. Thank you for bringing this to our attention. "To use this paper with CP soap, should both sides of the embed paper be covered with MP soap before pouring CP soap over it?" Staff Answer You need to first embed the paper into clear MP soap. You can then pour your CP over this. "Will the use of this paper in the soap reduce the lather/ qualities of the soap? " Staff Answer No, it does not affect the lather at all. "Can this paper be used for candles or wax melts ? " Staff Answer We do not recommend using embed paper in candles or wax melts. They are best used in a clear product so the design can be seen. 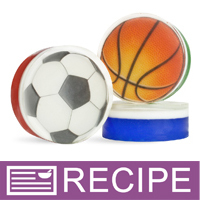 "How would I put the "embed paper" ingredient on a label to comply with labeling guidelines?" Staff Answer The embed paper does not need to be listed on the ingredient label. Once water hits the paper, it completely dissolves and is not an actual part of the soap. "Does this paper come with a template you can download or this there a template available on Avery.com?" Staff Answer There is no template for the embed paper. You can design your own to fit whatever mold you are using for your soap. "I am looking for material to use for eco-confetti, would this be a suitable material to throw at a wedding then wash away with a hose? " Staff Answer We think that is a great idea! This paper stays intact and will dissolve once it comes in contact with water. "I only have an Inkjet printer....can I bring this paper into a Print Shop and have it printed on a commercial copier? If so, what is the GSM of this paper? The machine in question would use heat to fuse the ink to the paper..is this something that would work?" Staff Answer You would need to check to see if a Print Shop will print these for you. The GSM of this paper is 52g/m2. We do not know if the machine they use would work or not. We have only printed these on a laser printer. "I am thinking of this paper to hold a bath fizzy mixture. Will the paper totally dissolve if it submerged in bath water?" Staff Answer Once the embed paper touches water, it will completely dissolve. "Is the set up for the design similar to Avery products where you download a template?" Staff Answer We do not have a standard template for embed paper, it can be printed with any image of your choosing. The best way to use this paper is to create a design, save it as a PDF and print it from a laser printer. Just make sure the designs fits in the soap mold you choose. "Hi! I've ready contradictory reports online as to what type of printer and ink are best to use with this paper to reduce bleeding. Some sites say laser, some say inkjet - some specify pigment ink rather than dye. Could you please clarify?" Staff Answer In our product testing, we have found that laser printers work best with this embed paper. I have only ever used an inkjet printer - I have never had any problems with bleeding, fading, etc. Works great! I do, however, spray the pic with hair spray as soon as it comes out of the printer and let sit for 2-3 days before embedding into soap. "Is it possible to actually write a message by hand with a sharpy or some sort of colored pencils, acrylic paint etc. instead of using a printer?" Staff Answer We have not been able to test the Embed Paper for that. So unfortunately, we cannot say if it would work or not. The concern is that it may possibly bleed. You would need to test it out to see if it works with using a permanent pen/marker, paint or pencils. It's a great idea though! Yes you can use watercolor-color-pencils on this paper. "I'd like to make Christmas presents. How long does it take before the printed image visibly fades or blurs? " Staff Answer We have not found these to fade. I suppose if they are exposed to extreme UV light the ink would fade the same as any printed paper. "Will this paper work for photos they keep having ink migrate or blur I have used both inkjet and laser jet"
Staff Answer Yes, this paper works with photographs. If your photographs are detailed, small or out of focus they will be difficult to use with this paper. Because it is paper and not high gloss photo paper the picture will not be as clear as it is in a photograph. We only recommend using this paper with Laser Jet printers. "Would it be possible to build in reverse using a designed mold, so you have to paper on the bottom and a molded design on the top? " Staff Answer Yes, you could. It would take careful concentration/planning to ensure that you leave enough room for a clear layer and that you embed your design correctly (not upside down) I say this because we have made that mistake so many times! "I am new to soap making, and would like to know if it is possible to mix an MP base with CP soap. 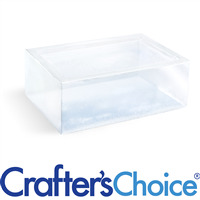 For instance, could I use an MP clear base to seal in the embed paper, and then pour CP soap over it in the same mold? Will the soap separate?" Staff Answer Yes! you can embed MP into CP soap. "Can this be used in cold process soap? I am placing an order and would love these in my soaps!" Staff Answer This paper will not be visible through an opaque soap such as CP soap. It only works with a clear soap base. "I am very interested in making one-time use soap sheets. From what I've read they use this type of paper. Have you ever seen a recipe to do this? Thank you!" Staff Answer We do not have any recipes for single use soaps using this product at this time. "I watched the instructional video and it states to first pour a clear layer and then an opaque layer. How thick/thin should the first layer of clear be?" Staff Answer The clear layer only needs to be about 1/8 to 1/4 of an inch thick. You just need enough clear to seal the embed paper. "My water soluble paper keeps jamming in my laser printer. It doesn't happen with normal paper. Help!" Staff Answer You may want to try a different setting on your printer. If you have a printer with only one setting, or if you are using an older printer, you may need to use a different printer. In case anyone else has this problem - I ended up taping the water soluble paper to a regular sheet and it stopped jamming. I take my paper to the UPS store. They have much more advanced printers than my home printer. I put my design on a jump drive then they print it out for me. It's just been an easier way for me. I love the embed paper. I hope this works for you. "Can you use this paper for cp soap and do you need to wet the soap before putting the paper on?" Staff Answer We only recommend this for use in MP Soap. It is not recommended to wet the paper before use as it is actually embedded into the soap. "I tried to use the product with HP LaserJet 200, but each time it prints, the page develops thin folds, resulting in what looks like white cracks in the printed images. What are the recommended printer settings for the embed paper?" I would recommend using your printer on a finishing setting and changing the paper type to a card stock or label setting. "Is it safe for a person to use the soap while the embed paper is on the soap?" Yes, this melts away as the soap is used. I've used them tons of times before and they work great!